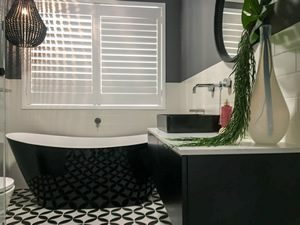 We had our ensuite renovated and we couldn’t be happier with the result. Fred’s tradies were professional, clean and came when they said they would come. The workmanship was first class. We now have a beautiful and functional ensuite. I don’t have to ask my husband that perennial question ‘does my bum look big in this’ anymore – I have mirrors which give me an honest answer. Thank you to Fred and your team. Highly recommended.